The Ashoka Foundation is one of the leading trusts in India; Ashoka Foundation is a NGO which is devoted to social medical and educational development. It is registered under Govt. of Maharashtra (Regd. no. F.17575) in the year 1995. It has been done lots of work for social, medical, and educational development since last few years successfully. It has good brand image in the minds of people. We believe that the way to meet this challenge is to encourage initiative by those living and working closest to where problems are located to promote collaboration among the nonprofit, government and business sectors; and to ensure participate by men and women from diverse communities and at all levels society. In our experience, such activities help build common understanding enhance excellence enable people to improve their lives and reinforce their commitment to society. Apart from IT Literacy Program, We organize various social events like Free Medicine distribution, Blood donation camps, HIV AIDS awareness program, Cancer patient aid program, Mahila Rojgar Yojana, youth Employments program , IT Education program Student Scholarship Program, Free Eye Testing program Free specs distribution and Free Cataract Surgery program, Personality Development Program for the Students etc. 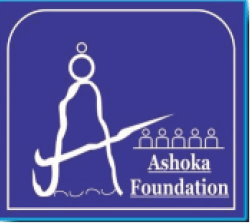 Founded in 1995, The Ashoka foundation operated in a national level. Since its inception it has been an independent, nonprofit organization. The trustees of the foundation set policy and delegate authority to the president and senior staff for the foundation’s grant making and operations. Programs officers in India explore opportunists to pursue the foundation goals, formulate strategies and recommend proposals for funding. Since its character stated that its resources should be used “all for the public welfare, “the foundation made grants to many different kinds of schools and organization. Establishing Engineering College is our prime objective. For Economic growth and prosperity, the need is to produce highly professional and competent Engineers. This could be achieved by imparting quality teaching to Students. Towards this some norms and standard of Engineering Education need to be laid down so as to educate the students with appropriate skills suitable for a rapidly changing industrial scenario. REPUBLIC DAY was celebrated on 26th January at Ashoka Computer Chembur and thereafter sweets were distributed among the students Local social workers Ashoka Foundation’s trustee member and all computer institute students were present during this event flag was hosted by Ashoka foundation president Dr. Baba Meshram. “The Republic Day of India recognized the Constitution in a legal manner and Independence Day is the day when we gained freedom. I remember studying about our Constitution in Civics when I was in school. I also studied about it in college as well. Because of this, I remember and know why Republic Day is important for every Indian. “Some had a vague idea while others remained content in the fact that it was yet another holiday. We also came across a few students who actually knew what the day meant for the country and for them. Metro life takes a look at some of the interesting observations of youngsters. 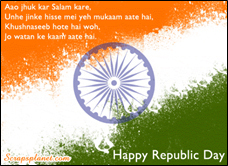 Republic Day is an important day for every Indian. 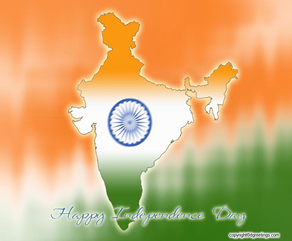 It is on this day that the Indian Constitution was adopted. This was the day when our rights and duties were brought to a concrete form. It holds a lot of value in every Indian’s heart and mind. India’s Constitution was displayed to the world on this day. Many great scholars and freedom fighters have put in their efforts to draft our Constitution. Anti Tobacco Week was celebrated from 1st Feb 2007 to 7th Feb 2007 at Ashoka Computer Chembur Mumbai. It is well known fact that the habit of chewing the tobacco is increasing day by day amongst the youth. Therefore it is important to make the community aware about the diseases which are caused by chewing tobacco. 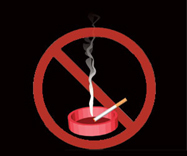 We have put on displaying of charts, posters, handbills etc about disadvantages of chewing tobacco smoking habits etc. in our various computers training institute during this week. The objective is to inform people on dangers of using tobacco. The day also aims to reduce 5.4 million early deaths caused due to tobacco related health problems. On May 31st 2008 the WHO called for a complete ban on tobacco advertising. Series of initiatives were taken by World Health Organization for preventing Tobacco hazards. Claim your right to health and healthy living and protect your younger generations from losing their future in every puff of smoke. We all have to join our hands together to fight the Tobacco epidemic. 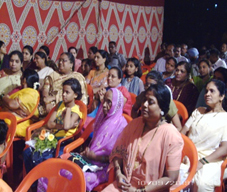 JAGTIK MAHILA DIN was celebrate widely on 8th March by the Ashoka Foundation Mumbai Mrs. Pooja Patil treasurer of Ashoka foundation and the other trustee member Dr Veena Me-shram enlightened the women about the need of education and becoming self dependent Secre-tary Mr. Pagare gave speech on scarified life of respected Hon. Mother Terraca, Hon. Ex Prime Minister Indira Gandhi and asked women to become a self dependent for self respect Women's Day (8 March) is an occasion marked by women's groups around the world. 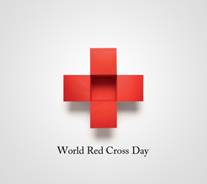 This date is also commemorated at the United Nations and is designated in many countries as a national holiday. When women on all continents, often divided by national boundaries and by cultural, economic and political differences, come together to celebrate their Day, they can look back to a tradition that represents at least nine decades of struggle for equality, justice, peace and development Women's Day is the story of ordinary women as makers of history; it is rooted in the centuries-old struggle of women to participate in society on an equal footing with men. Parisian women calling for "liberty, equality, fraternity" marched on Versailles to demand women's suffrage. 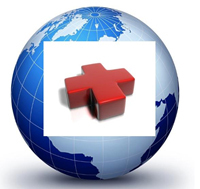 On this day around the globe hundreds of organizations had host events to draw attention to the global health workforce crisis and celebrate the dignity and value of working for health. The Ashoka foundation Mumbai have been also took an active participant to bring this awareness and orientation programs.Ashoka foundation has arranged free seminar and free medicine distribution camp in worli. The Global brief for World Health Day 2012 takes a fresh look at health data on ageing to help us better understand the needs of older people. The theme for this World Health Day is "Ageing and health: Good health adds life to years" and comes at an extremely relevant time. Indeed, within the next five years, the number of adults aged 65 and over will outnumber children under five. 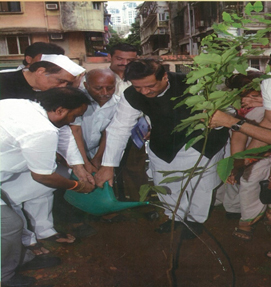 INDEPENDENCE DAY was celebrated on 15th AUGUST 2006 at GHATKOPAR office with the presences of local residents. During this ceremony Ashoka Foundation had distributed Note books, sweets and fruits for the poor and the needy students Functions was attended by President Dr Baba Meshram, Secretary Mr. Harish Pagare, Treasurer Mrs. Pooja Patil and other trustees Mr. Dinanath Patkar, Mr. Suresh Chandanshiv, Dr Veena Me-shram Ashoka Foundation has made an arrangement for distributing schools kits and notebook among 100 poor and below poverty line students schools kit contains schools bags, scale , com-pass box, text book , note book etcA functions has been organized in Ghatkopar pantnagar Ma-jority of students were from ghatkopar slum area in this event local social worker and all the trustee member were present.